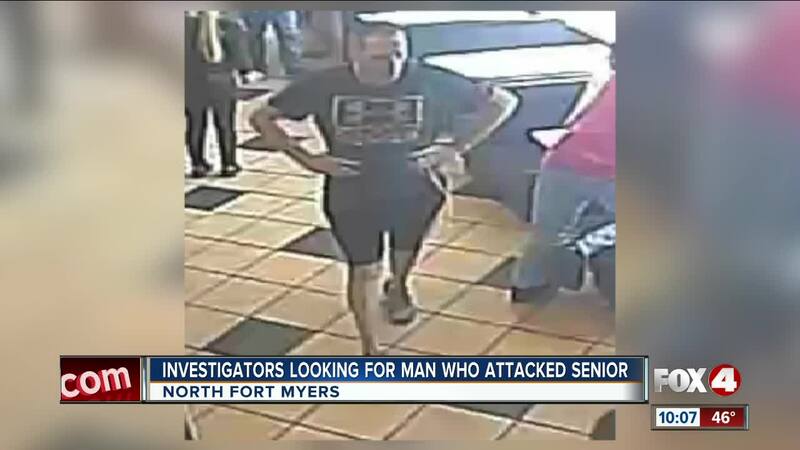 Investigators say the man started punching the victim in the bathroom of a North Fort Myers McDonald's. NORTH FORT MYERS, Fla. -- A man is accused of attacking a senior inside a North Fort Myers McDonald’s bathroom last week. It happened January 23rd at the restaurant on NE Pine Island Road, just off Cleveland Avenue. Investigators say the 68-year-old victim went into the bathroom and knocked on a locked stall door. They say the suspect, seen in these surveillance images, left the stall and started yelling at and punching the victim, knocking him down. The suspect then kicked the man and left. If you know anything, call Southwest Florida Crime Stoppers at 1800-780-TIPS.